The green glow produced by certain jellyfish proteins famously revolutionised biological imaging in the 1990s. Now, this humble sea creature has inspired researchers in Singapore to develop a waterproof, self-healing skin that could make smartphones more water resistant and let soft robots venture underwater. According to Assistant Professor Benjamin Tee from the National University of Singapore (NUS), many existing self-healing materials are not transparent and are unable to function well in wet conditions. 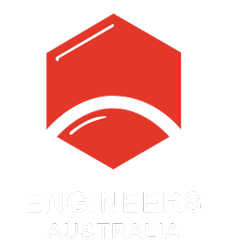 “These drawbacks make them less useful for electronic applications such as touch-screens, which often need to be used in wet weather conditions,” Tee explained in a media release. Tee has considerable experience in developing electronic skins, and was part of the team that pioneered self-healing electronic skin sensors in 2012. Identifying that the properties they were seeking had already been perfected by jellyfish, Tee’s research team investigated how they could construct an artificial material that mimicked its nature – with the added feature of touch sensitivity. Tee’s electronic skin, which graced the cover of Nature Electronics in February, combines a fluorine-rich ionic liquid with a fluorocarbon-based polymer. The researchers explained that the reversible ion-dipole interactions between the liquid and polymer give the material its self-healing properties. Another useful property is its ability to maintain the same shape in a wide variety of conditions. Tee said that most conductive flexible materials (including hydrogels) swell underwater. “What makes our material different is that it can retain its shape in both wet and dry surroundings. It works well in sea water and even in acidic or alkaline environments,” he added. The material can be 3D printed, which the researchers said could make it useful in developing transparent circuit boards for soft robotics. Opening up the marine realm to soft robots could be useful in applications ranging from undersea exploration to collecting biological samples. It could also expand the capabilities of autonomous underwater vehicles. Tee added that the material’s self-healing properties have the potential to reduce e-waste from discarded mobile devices. “We are hoping to create a future where electronic devices made from intelligent materials can perform self-repair functions to reduce the amount of electronic waste in the world,” he explained.